Popular singer, Olamide otherwise known as ‘Badoo’ is expected to storm Abuja come Thursday, 26th of April for an event organized by the Kings of the North. The singer is expected to attend the maiden edition of ‘Kings_Meet’. 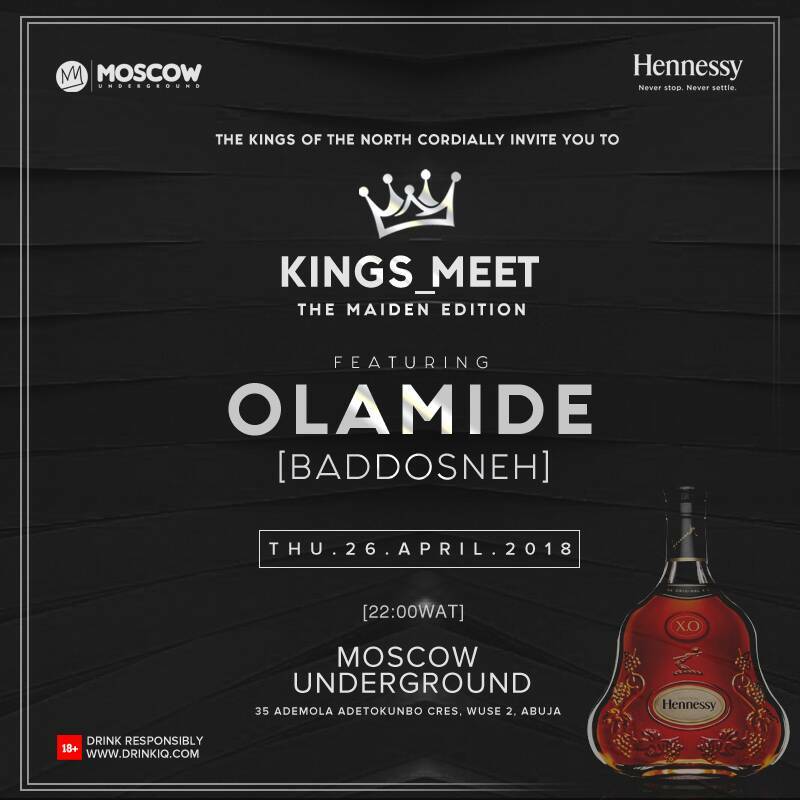 The event which will be holding at Moscow Underground , Abuja is being supported by the distinctive Hennessy xo. According to the organizers, ”Come Thursday night, Moscow Underground will be intrigued and filled with Queens and Kings. ” The night will be an overwhelming intrigues in a place of victors of conquests. It will be celebrated by Kings and Queens as it will be filled with royalty. It’s place where royalty will meet royalty. The event is made for the great,” the organisers said.